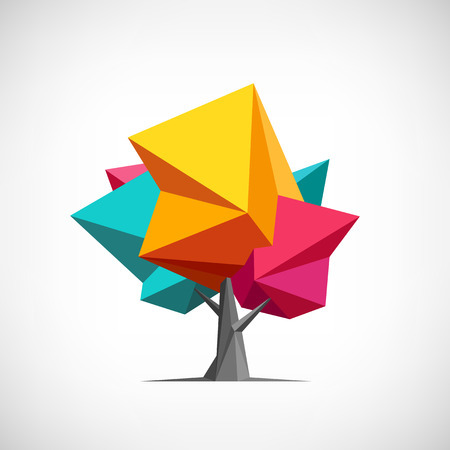 Conceptual polygonal tree. Abstract vector Illustration, low poly style. Stylized design element. Background design for poster, flyer, cover, brochure. Logo design.